Well, of course, being England – it couldn’t last long could it? … the sunny weather I mean ! After being spoilt with the most gordeous blue skies and warmth for almost a week – it turned nasty again. I don’t mind the usual showers or even the heavy rain we’ve been getting – it’s the sudden drop in temperature that chills me poor ole bones that gets to me. Still, I shouldn’t complain when there are parts of the world that suffer so much from earthquakes, tornadoes and the like ! Hmm – I’m living on easy street ain’t I? Before the rains came I was able to buy some plants to begin filling up the little border. As I’m now the proud owner of a little pickett fence I decided a couple of Clematis would look good scrambling over it. No matter that I discovered too late that Nellie Moser grows 10ft x 10ft …. 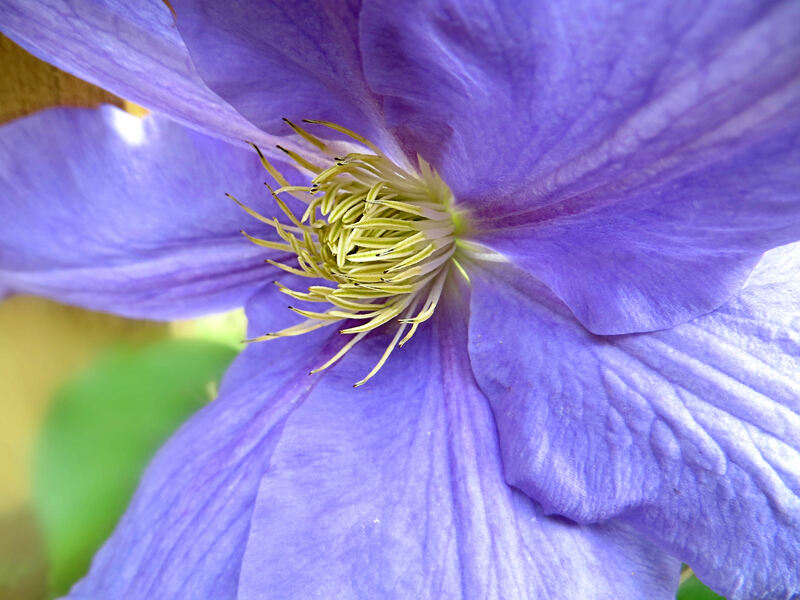 Hi Eileen: Ypur Clematis are lovely!! I like flowers that multiply quickly or spread out; easier for me to ‘garden’, lol!!! Our weather here has been just as erratic. We have some nice warm proper days & then dayz with clouds & north wind. We were under a storm warning last nite & we had some lightning but the storm missed us & went South…. I see all the flooding in Germany & Hungary & China & now in parts of India & I figure we are on ‘Easy Street’ altho it could change in the blink of an eye it seems!! 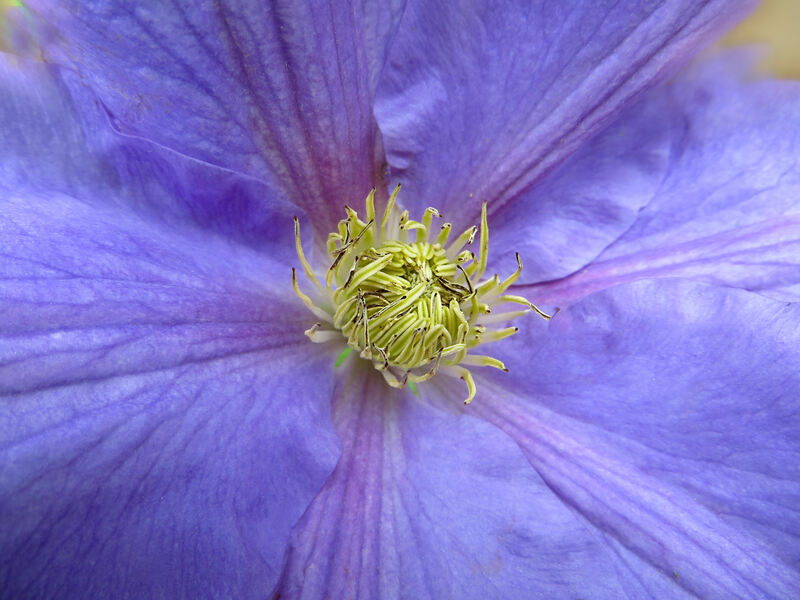 I hope the Clematis survived the chill & are still blooming!!! 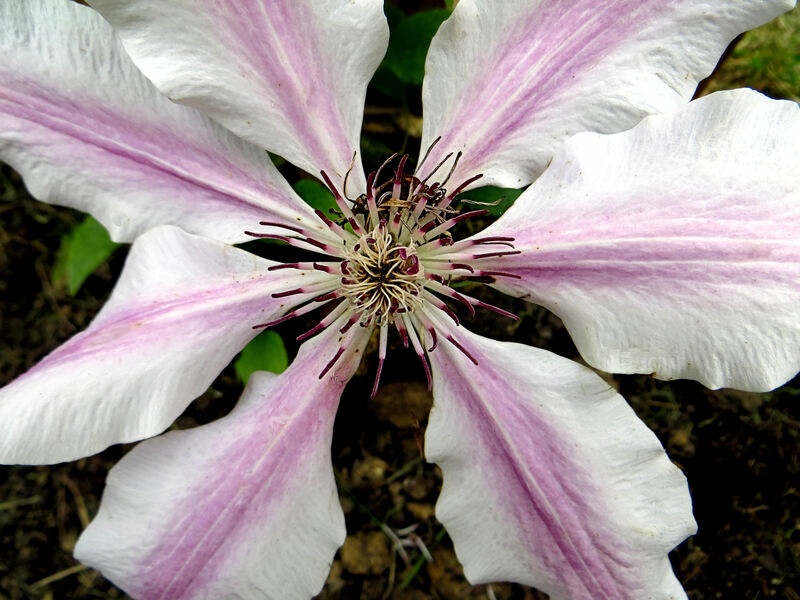 Thanks SherriEllen, the clematis are still blooming, but a Japanese Acer that I bought in a pot doesn’t look too happy. I’m discovering that my little patio garden is in a wind tunnel! looks like we’re in for a few days of HOT weather though…. but you can’t ever rely on the forecast … I don’t know why I still look it up – I’m better off relying on me bunions!! 😉 I hear you on the bunionz…altho mine is my finger joints…they ‘tell’ me when it is going to rain or snow!!! I could predcit the weather better than the so called forecasters!!! We have a North wind blowing yet again!!! It is sunny & 66 F out so we did sit out altho’ I had to wear a sweater & Nylablue had to have her condo wrapper in blankets to break the wind. This gardening lark is getting trickier because of the weather!! Hope you have a good & warm week there.